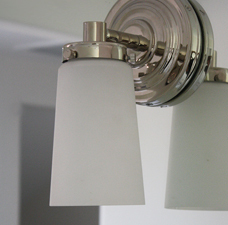 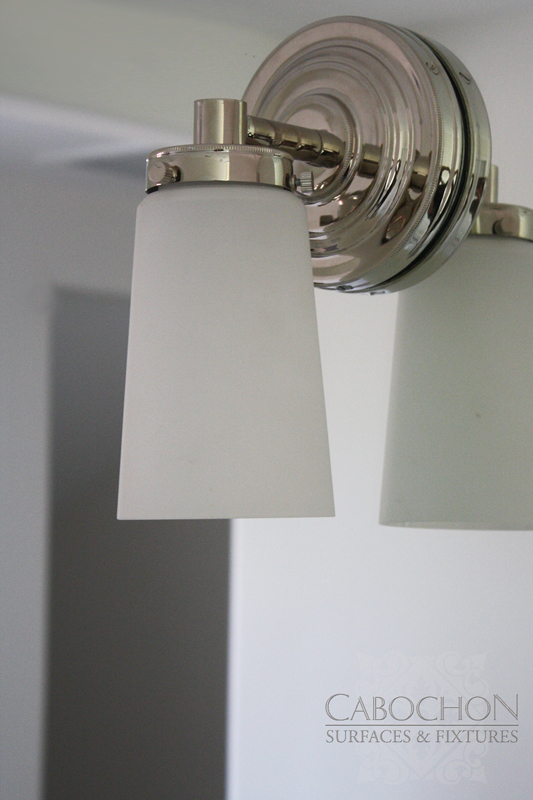 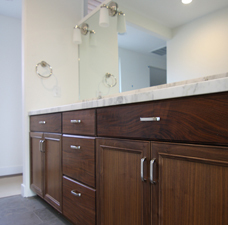 This master bath provides the perfect contrast of dark and light surfaces throughout the space creating a cohesive flow. 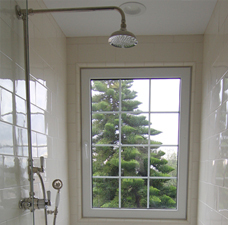 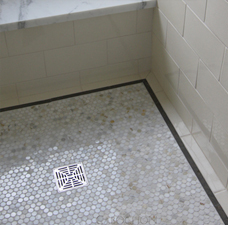 Blue limestone covers the floor and also appears in an accent band surrounding pennytile mosaics at the shower pan. 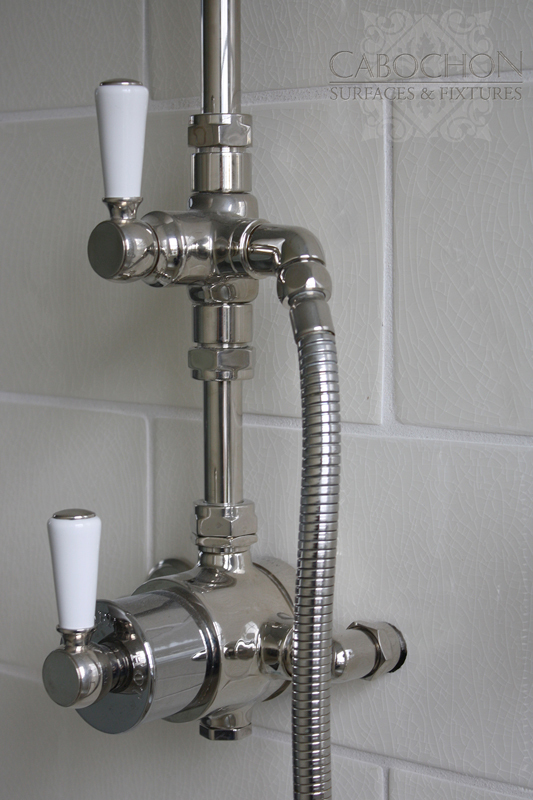 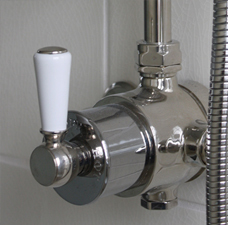 Hand molded cream ceramic flanks the shower walls providing the perfect canvas for the exposed thermostatic shower system. 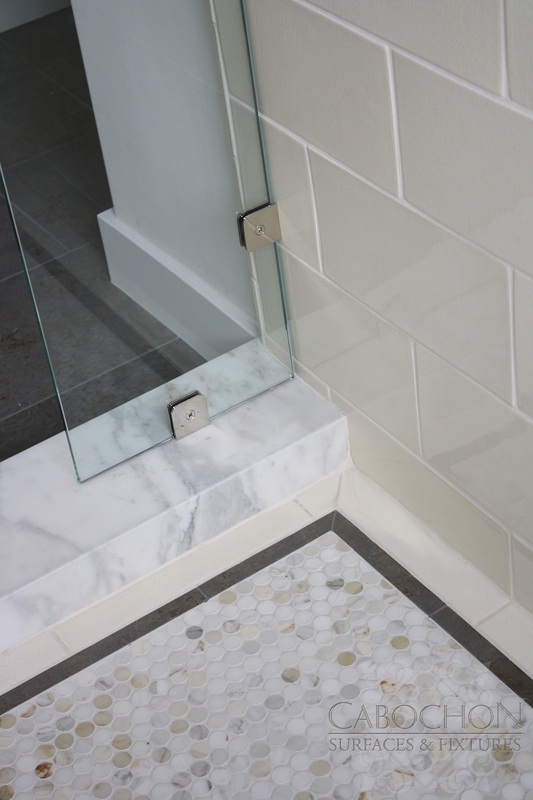 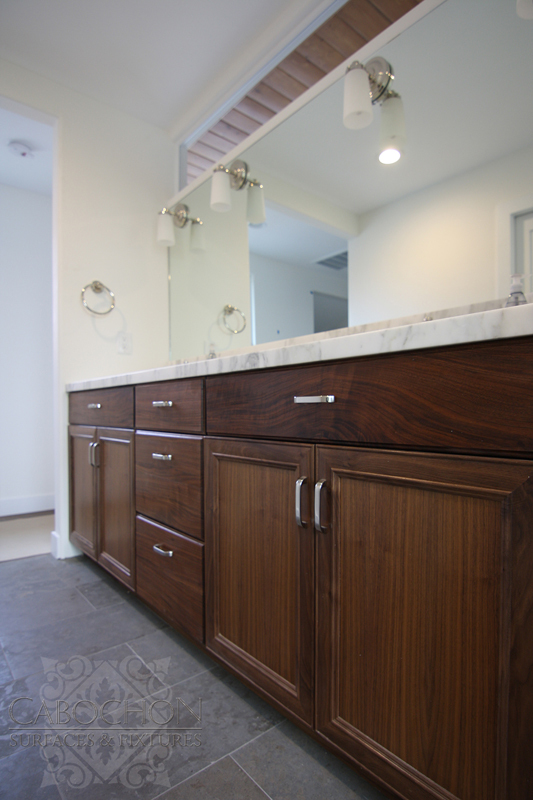 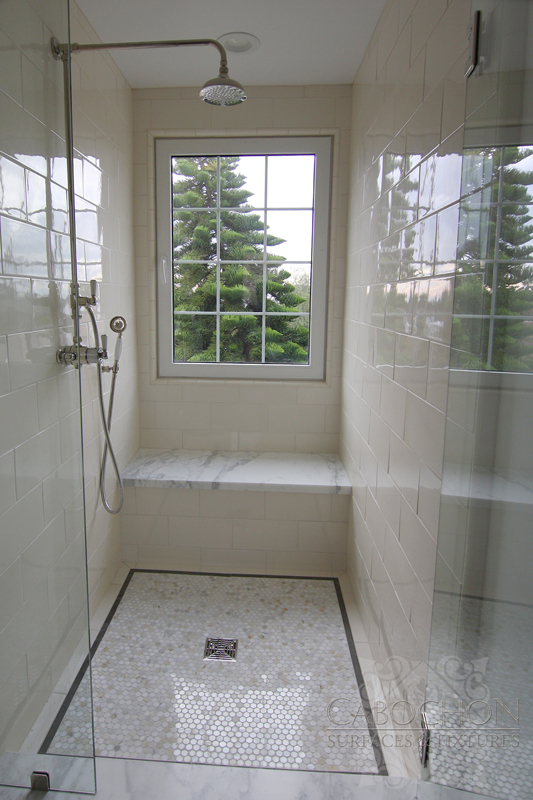 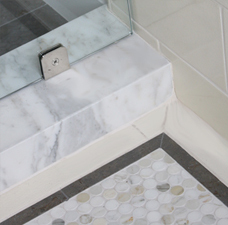 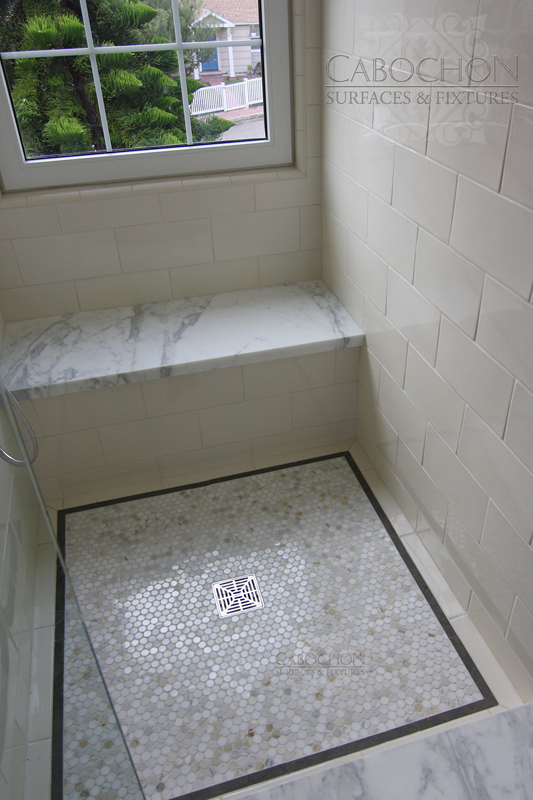 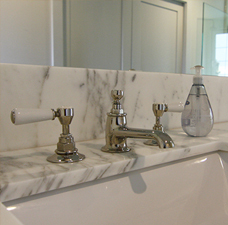 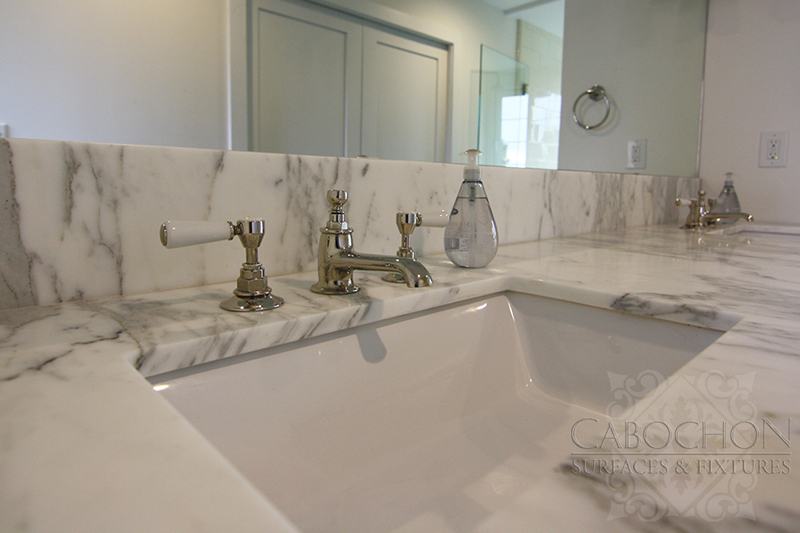 Coordinating marble slabs finish off the countertop, bench and shower curb.